With over 40 years of mutual experience in the styling business we are still excited to share our passion and love for doing hair with our clients. We consider each client special and cater to their needs and desires to the best of our abilities. With amazing product lines, to the warm atmosphere of our salon we hope that you feel how much love we put into everything and every experience we share with you as a client. Creativity, laughter, cooperation, trust, compassion, and love are our salons main focus. With our name being Changes, we have a focus on always improving and sharing and having a respectful environment to staff and clients alike. 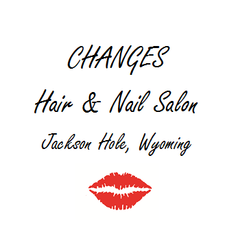 Changes is a safe place to relax and where our guests come to look & feel their very best!